A kid favorite recipe that I have been waiting to share for a long time is finally here. 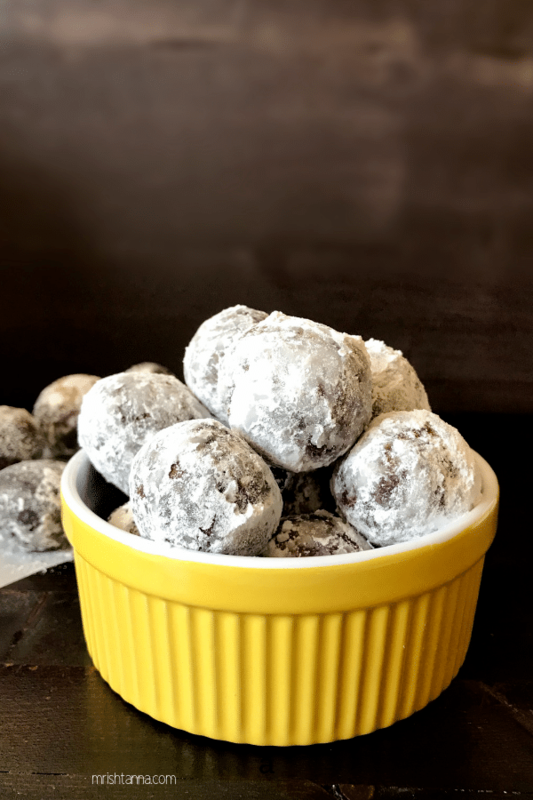 My kids (and countless others) have always longed for a vegan version of Donuts and I had tried several versions until I landed a sweet spot with this recipe. Since my kids take every chance to grab every Donut, I decided to make Donut Holes instead. Donut Holes are more bite-sized and give them the feeling that they have eaten a lot. 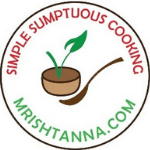 Donut Holes are best eaten the day they are made, but even on the second day, you can get good results by reheating them. To make them festive for your occasion, you could roll them in white powdered sugar ( make sure its vegan) or sprinkle it with chocolate sprinkles. 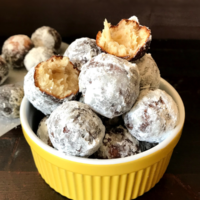 How to make vegan vanilla donut holes? Donut holes are small, bite-sized donuts that were traditionally made from the dough taken from the center of ring donuts. However, over time, these holes became a recipe in itself. Just drop a small bite size dough in hot oil. But what makes these Donut Holes special? These donut holes are vegan! Here are the vegan substitutes that turned out very well. Plant-based Milk: Almond milk works the best, but other alternatives such as Soy or Cashew are also good. Unlike other vegan Donuts, I did not bake them. Baking Donuts does not bring the same taste or texture as frying does. So I am sticking with the frying method. Vanilla Donut holes can be made as gluten free. Just use the gluten-free all-purpose flour instead of regular one. Everything else is just the same. If this recipe interests you, look for similar recipes in my blog such as the Honey Cake! For more delicious vegan recipes such as this sent directly to your inbox, just subscribe to my newsletter. You will also get a copy of my e-book where I have put together some simple vegan dessert recipes and dessert essentials. My readers have found it very helpful and I am hoping you will too! 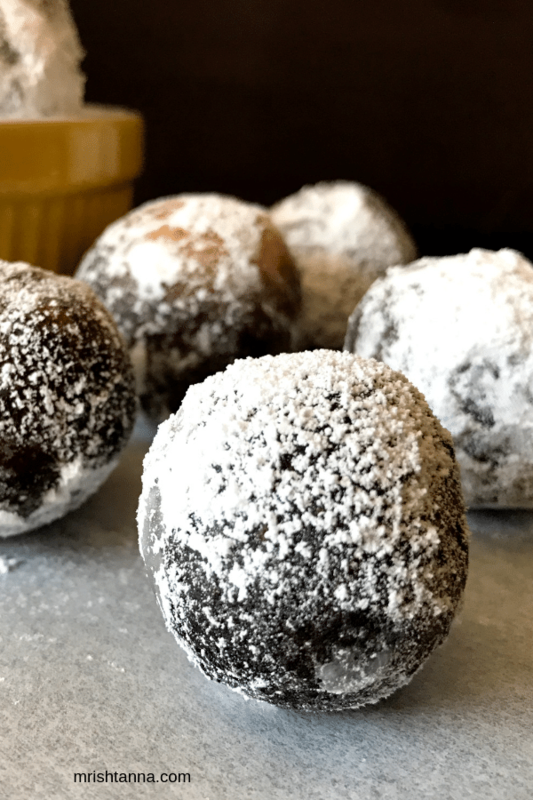 Best, easy vegan donut holes are perfect to munch with coffee! In a large bowl stir yeast, warm water, and one teaspoon sugar. Add the remaining sugar and other ingredients in a bowl and mix well. If the dough is still sticky, add just a little more flour. One tablespoon at a time until the dough becomes smooth. Cover the bowl with a clean towel and let the dough rise for one hour in a warm place. After an hour or so, punch down the dough by folding it over a few times. Then let the dough rise for 10 minutes. Prepare little balls of dough and place them aside. In a medium pan, heat the frying oil until it ready for the donut holes. Fry the donut holes individually. Flip them to the other side,when they turn golden brown. Place the holes on a parchment paper to absorb the extra oil and let them cool. Roll them on a sheet of powdered or crystal sugar or your favorite glazing. Vegan Donut Holes are ready! Uma, these look so fluffy and light. Loved the recipe with variations.